The authority has decided to introduce a £300 per day charge at all seven of its harbours for location and facility usage. Despite the region’s harbours having been used in a number of films and adverts over the years, until now the council has had no method of charging for the privilege. That is set to change after all harbour advisory committees agreed with the recommendation which was rubber-stamped by the authority’s infrastructure services committee last week. 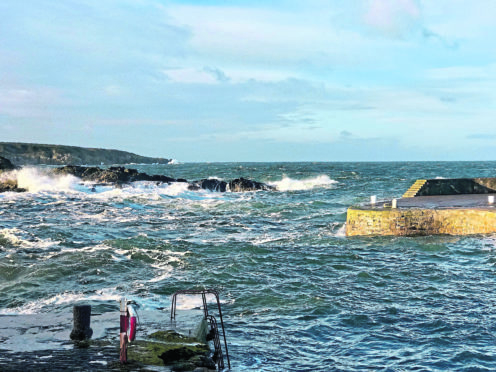 The charges will now apply to film crews using the council-run harbours at Banff, Gourdon, Johnshaven, Macduff, Portsoy, Rosehearty and Stonehaven. Councillor Mark Findlater, who himself appeared as an extra in the recent remake of Whisky Galore, welcomed the initiative. He said the area boasted a “huge number of beautiful harbours” which were sure to attract continued interest among filmmakers, and said it was a positive move to generate income. Portsoy was the principal film location for Gillies MacKinnon’s 2016 remake of Whisky Galore, while Stonemouth was shot at Macduff in 2014 and Buckie featured in an episode of 1987 cult hit Tutti Frutti.